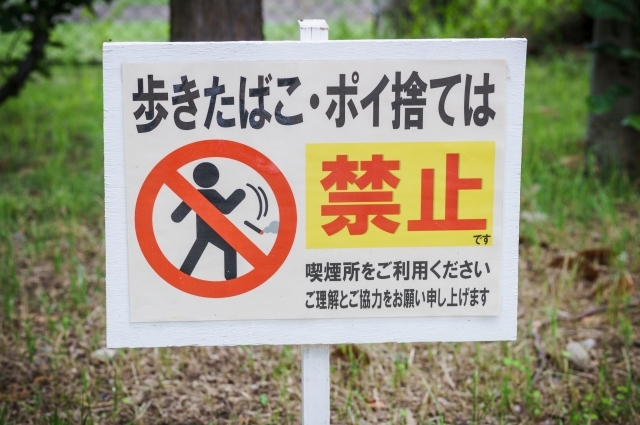 Smoking while walking is not allowed in this town. Smoking on streets and sidewalks is very dangerous. Smokers should refrain from smoking in public places. Texting while walking can often lead to serious injury. My subordinate is always walking while on the phone. There are great number of smartphone zombies in Japan.